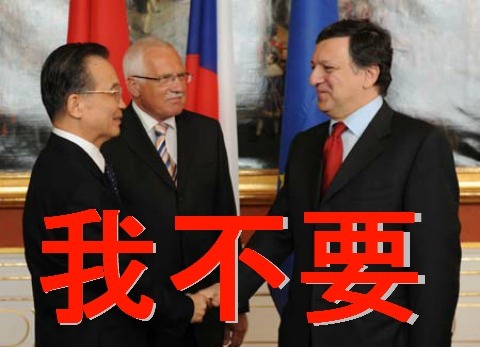 The Chinese have taken a look at the EU’s plans to save the €uro and said “我不要 “. They have vetoed any financial aid unless they get guarantees for their investment. Sound familiar?